(1) Boat Wash 16 fl. oz. (1) Ultimate Xtreme Clean 32 fl. oz. (1) Star Tron Gasoline Additive 8 fl. oz. (1) Ultimate Vinyl Guard Spray 32 fl. oz. 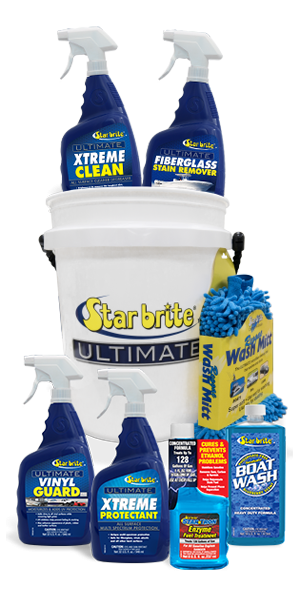 (1) Ultimate Xtreme Protectant 32 fl. oz. (1) Ultimate Fiberglass Stain Remover Spray (Gel) 32 fl. oz.